Hello again fans of Middle Earth and those who are interested in the ways of building Hobbit homes! Welcome once again. Glad to have you back. 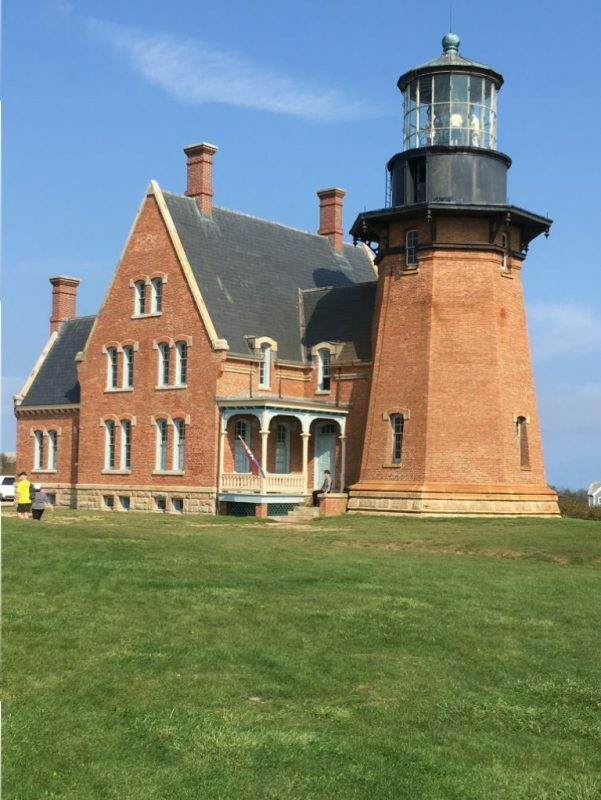 Well the Editor and I decided to take advantage of the long holiday weekend and mosey on over to Block Island for a couple of days for a little rest and relaxation. Try to get away from it all. I have to admit it was the Editor’s idea and a really good one at that. The forecast wasn’t that good but the weatherman got it all wrong and we had great weather. I don’t want to go on ad nauseum about a weekend getaway but there were some points of interest that you might find interesting. Nothing of note on the Hobbit house front so to speak so don’t get your hopes up. We got there on a Friday morning around 10am. Had breakfast at Ernie’s overlooking the harbor and went for a walk towards the jetty. As we step up to the jetty another couple with small children informs us that there is a dead whale on the beach! You had to see this thing to believe it. It was huge….and it was dead alright. It stunk to high heaven. 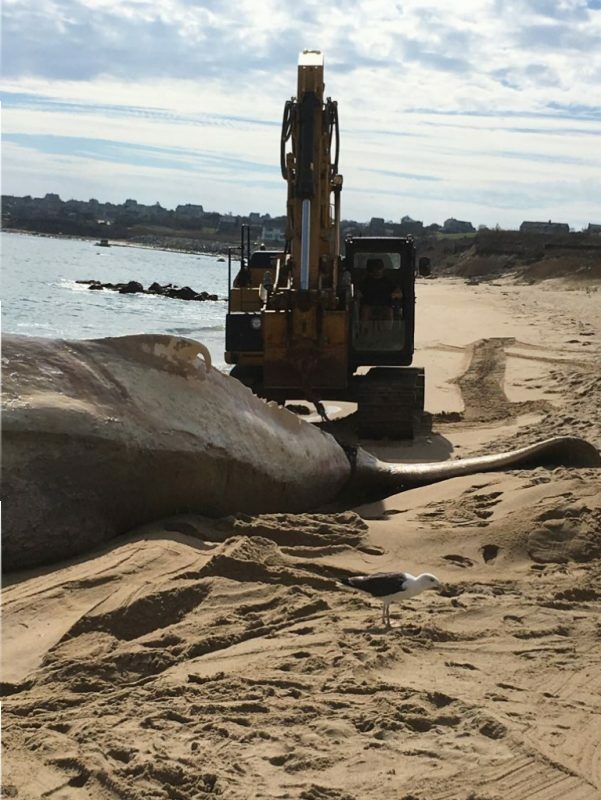 They were in the process of dragging it down the beach to bury it in the sand with an excavator. Check it out. 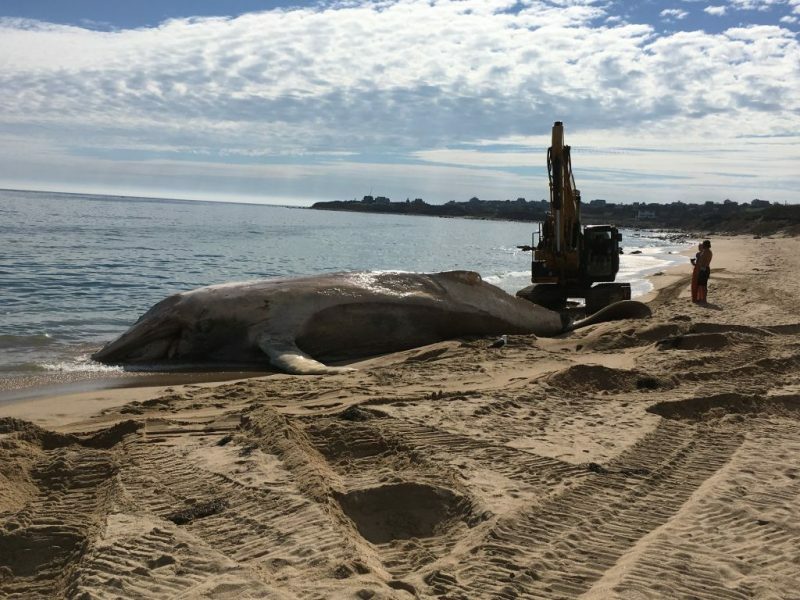 Dragging the whale down the beach. Another angle. A humpback if you were wondering. At one point the guy flips this monster over and the stink was incredible. 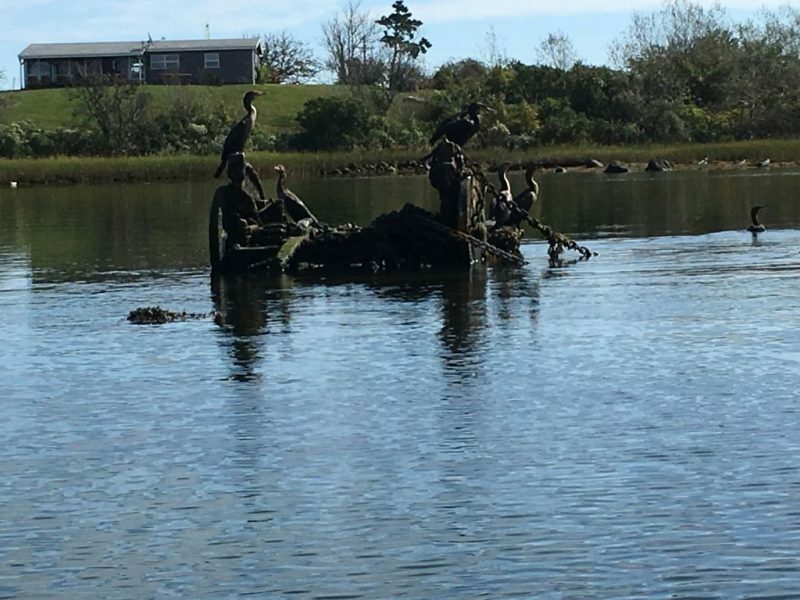 Just as an aside: As we’re walking towards the monster we see this guy swimming in the water about 50 yards away from this thing. I mean what would ever possess you to get into the water with a creature that size decomposing yards away from where you’re going into the water?????? Bizarre. Absolutely bizarre. Went to the Southeast lighthouse. I wanted to see the windturbines that were off the coast of the island. 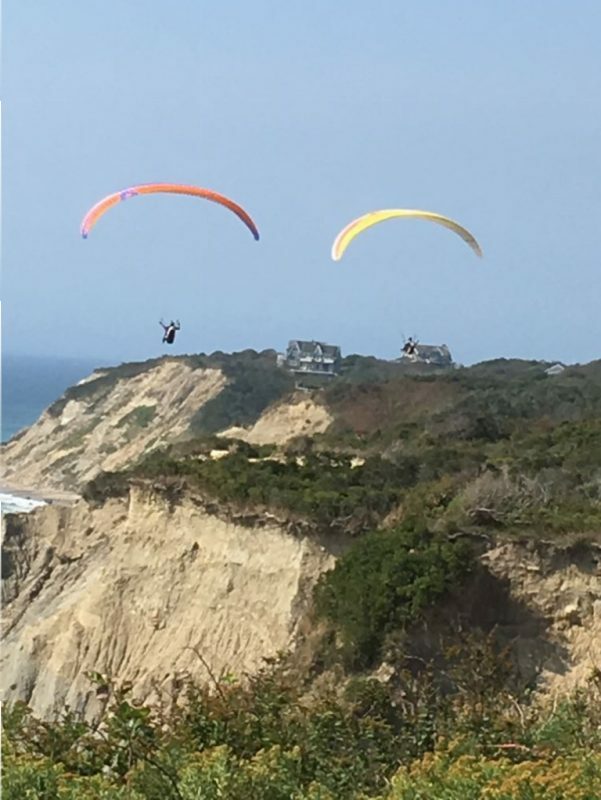 To our surprise a bunch of guys and girls were paragliding. Crazy stuff. Check it out. 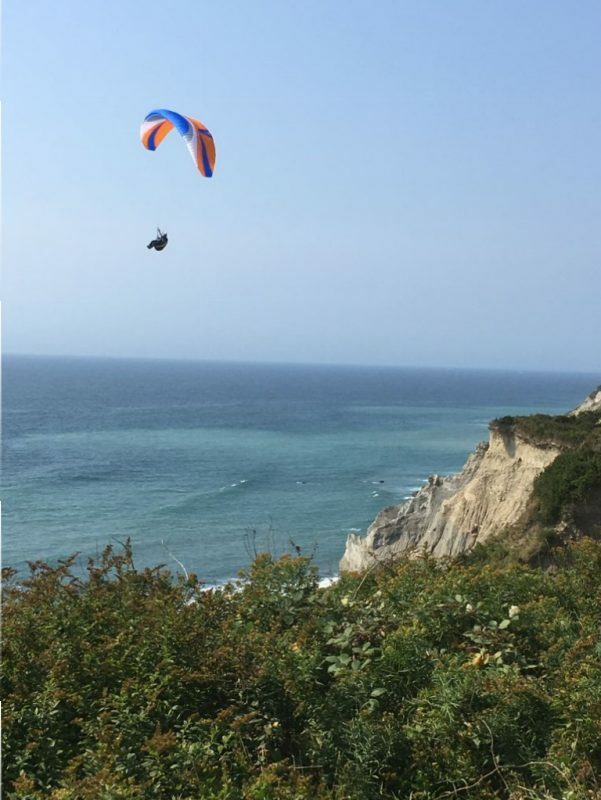 Paragliders off the Southeast coast of Block Island. These guys were from Boston. The one guy we talked to said he once stayed airborne 5 hours. Flew from Ellenville, New York to Millerton, New York. The guy said it’s about $9000 to get the kit. It was fun to watch them. And for all you birders out there we saw an American Oystercatcher near the Great Salt Pond over on the Block while we were kayaking. Very cool looking bird. And I believe a bit rare this far North. Didn’t get a picture of it though. 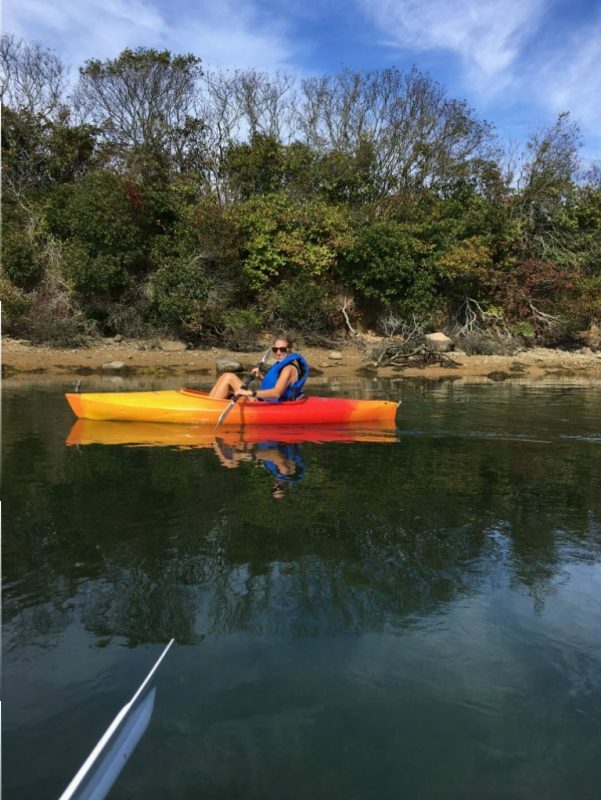 Great weather for kayaking. The Editor in kayak mode. 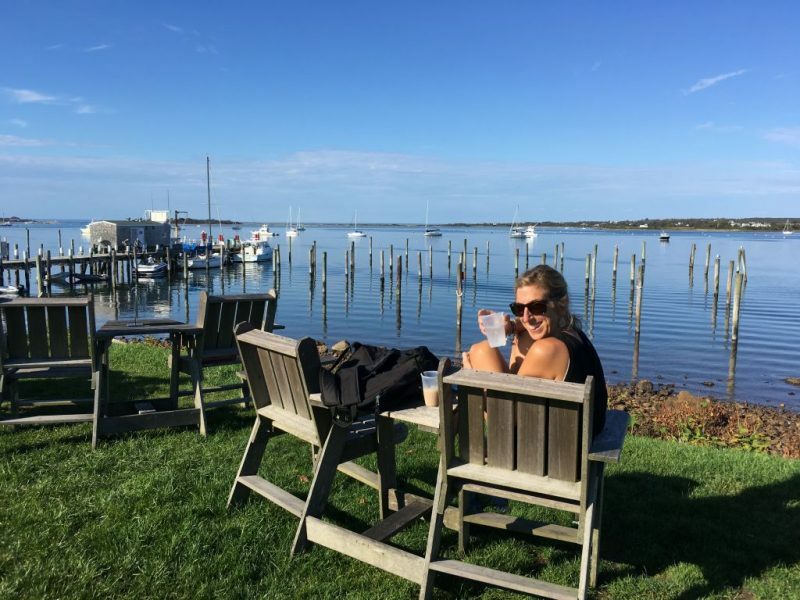 Enjoying the view of the Great Salt Pond. 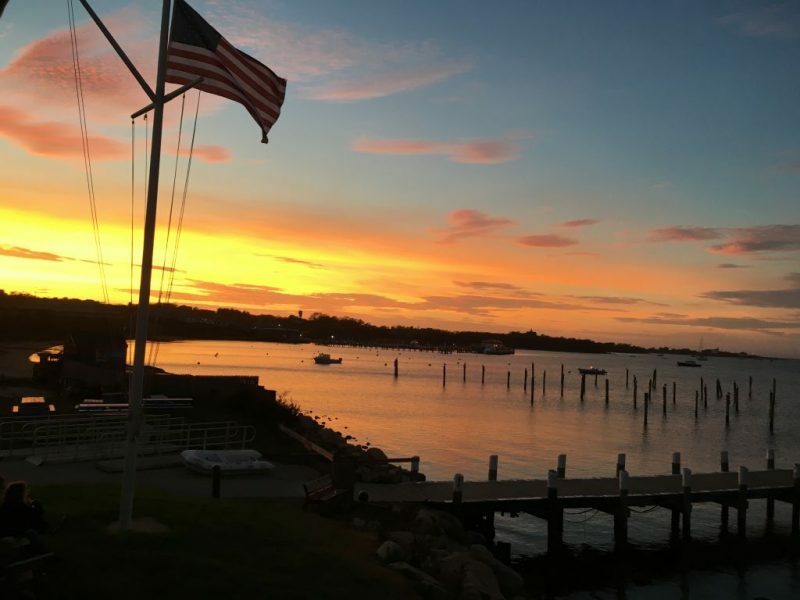 Sunset at “The Oar” restaurant. Met with a few stone masons this week to try and get some pricing on what I need done. Also got a price for my mini split heat pump. Seemed a bit high. Have to get another price. Have a great week and enjoy your Columbus Day. Hey John. Thanks for commenting as always. Yeah the Passivehouse thing is pretty serious. The standard reduces energy consumption by 90% so I’m told. So every little thing you do to the house matters. The blower door test I did was huge. Once I spray foam the skylights there will be almost zero air infiltration. That’s where we want to be. No small task. The doors and windows are absolutely critical in getting there. The windows and the door are Passivehouse certified. American window and door manufacturer’s haven’t reached that standard yet as far as I know. At least they hadn’t when I bought my windows. Passivehouse certified windows and doors you can only get from European manufacturers. I’m sure if I wanted I could have got what I wanted. I think the cost would have been through the roof though. Maybe next time. Let’s finish one Hobbit house before we get to another!